I did a forum search on 0 to 60 MPH times and did not find a thread on it. So I'm curious to know your 0 to 60 MPH times. 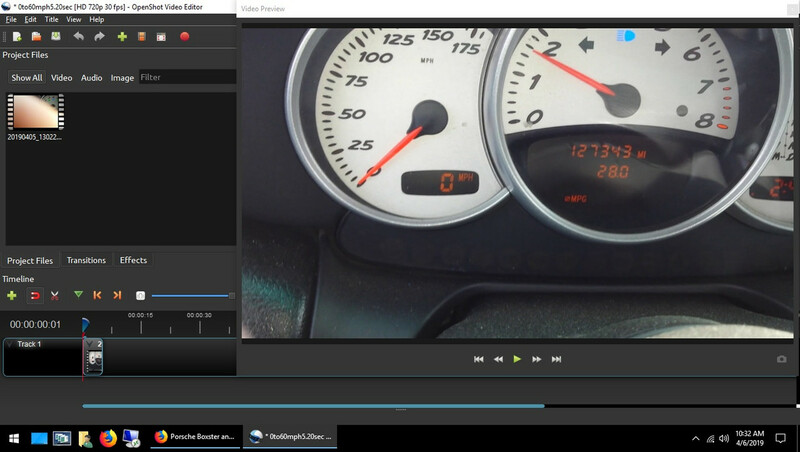 After my maintenance today, I went for a fun drive and decided to record my 0 to 60 MPH time with my phone. 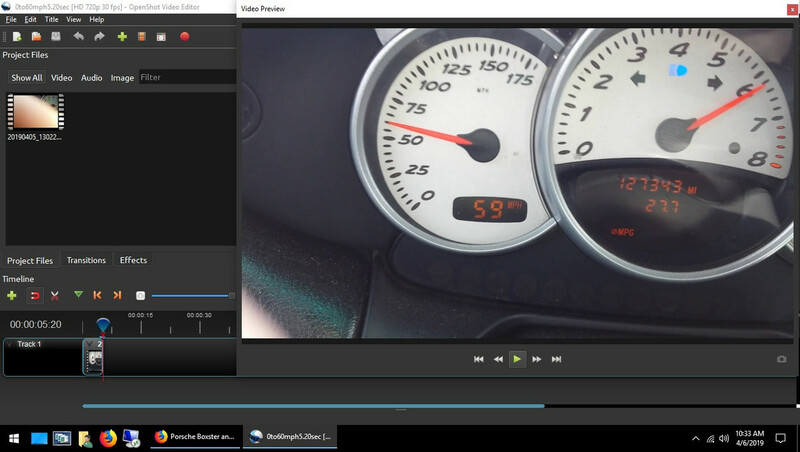 According to the video editor, my time was 5.20 seconds. Not bad for a Tiptronic transmission car. As you can see in the video, 1st gear is not so great on the Tip trans. It doesn't ring out the engine fully before shifting to 2nd gear and when it does shift into 2nd gear, it drops the RPM into lower then desirable range. After it gets into 2nd gear, she will red line each shift and drops into the 5,000 RPM range and she is on a rampage then. Funny you can also see my average MPG go down on just a quick blast. 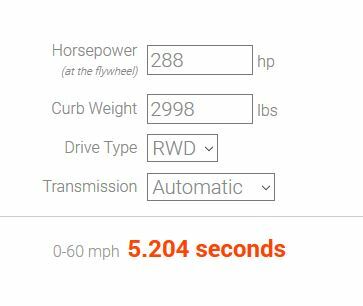 Using an online 0 to 60 calculator, it shows 288 HP for my car. Plugging in my car's weight, which I don't know 100%, but I went with the lowest weight Porsche listed in my owner's manual for a 2003 Boxster S with a Tiptronic transmission. That weight is 2998 lbs. The calculator assumes a driver's average weight, so I did not add my body weight to it. I could probably get a little better time as I only ran it up to around 1,600 RPM before I let off the brake and mashed the throttle. Last edited by KRAM36; 04-06-2019 at 08:09 AM.